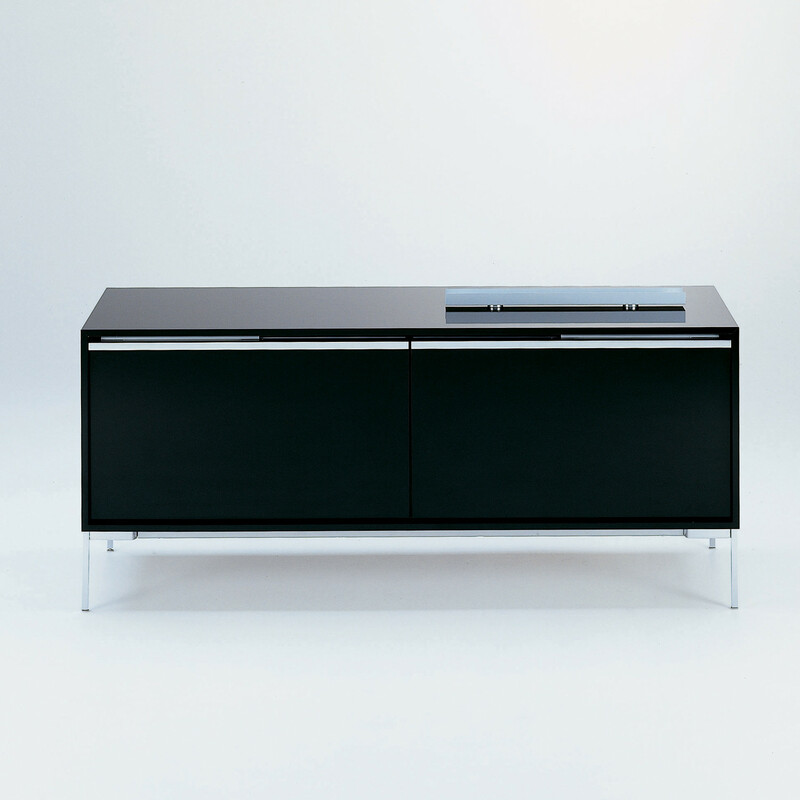 Designed by Bruno Fattorini, the Fattorini Sideboard is a system of storage units resting on a stand, with coplanar doors, large drawers, or manually opened or servo drive equipped drawers. 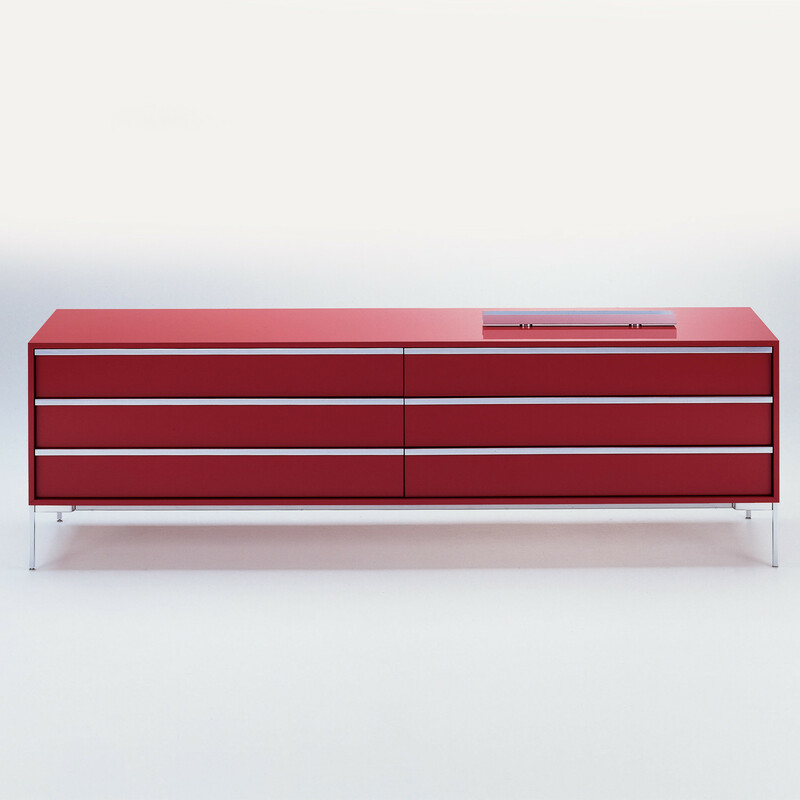 Made of medium-density wood fibreboards, covered with a sheet of aluminium, either natural anodized or gloss lacquered in black, white, red or light grey. 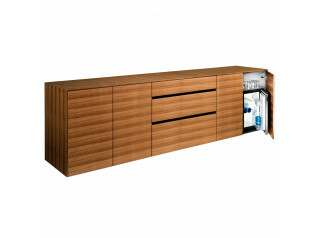 • Manually opened drawers and coplanar doors,. 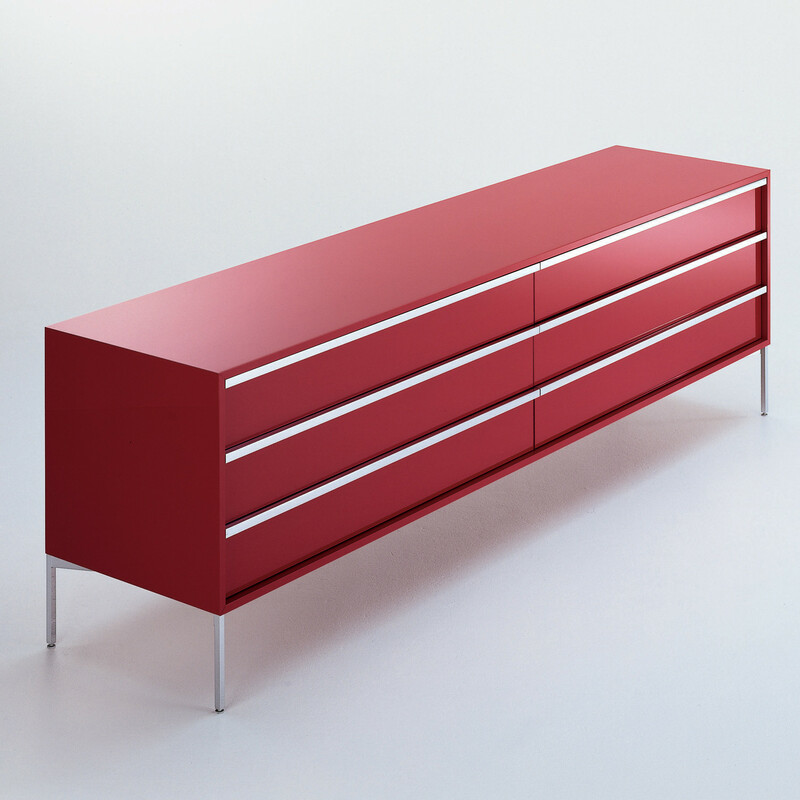 The sides of the drawers are made of aluminium-lacquered steel. 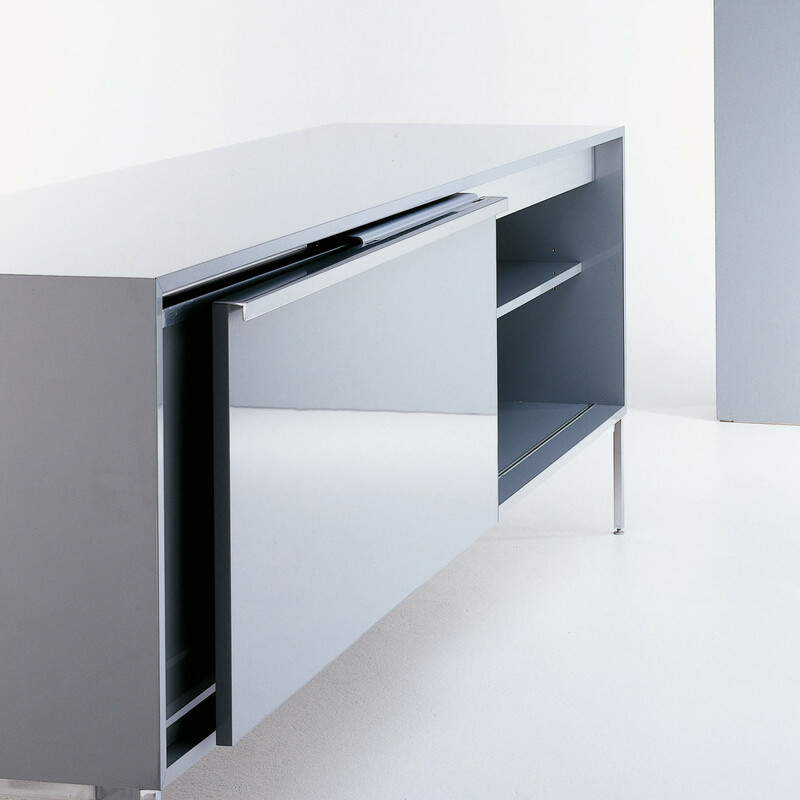 The drawer bottom and back are made of melamine-coated chipboard boards in grey. 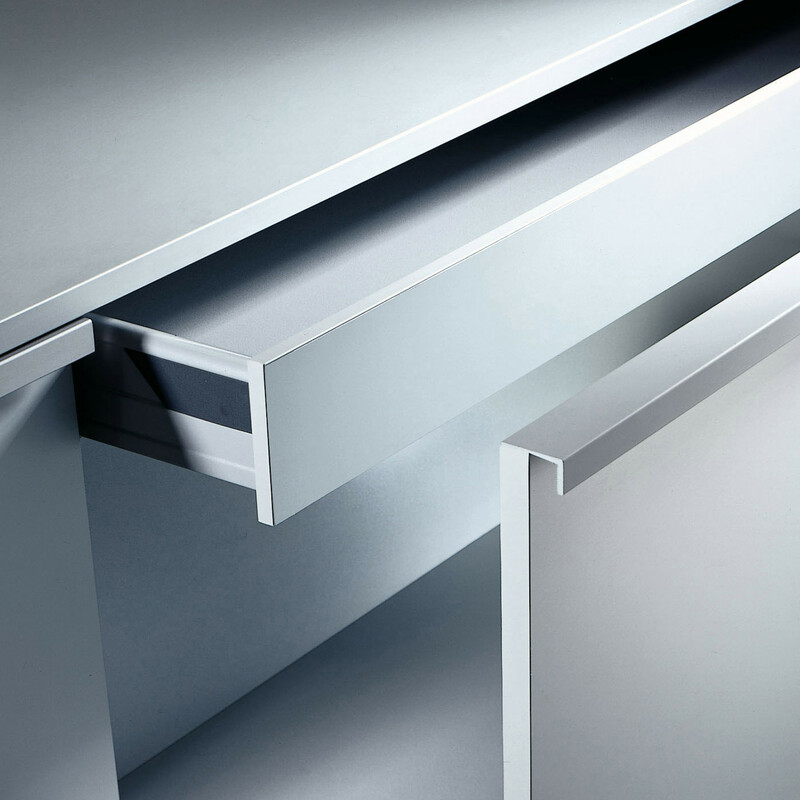 Drawers are with fully-extractable Blum guides as a standard option. 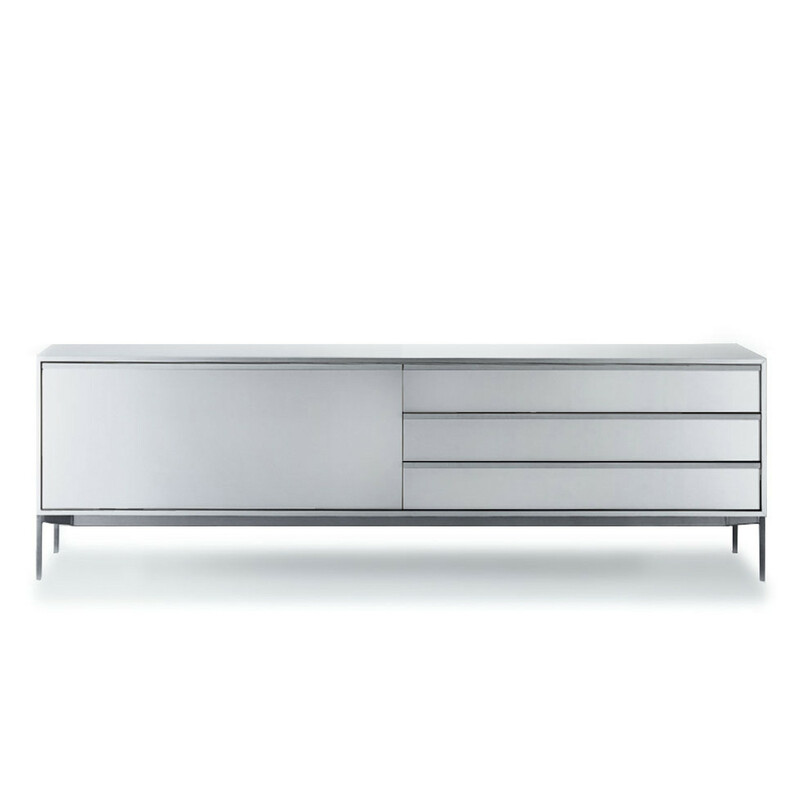 The units are mounted on a chromium-plated or aluminium-lacquered stand. 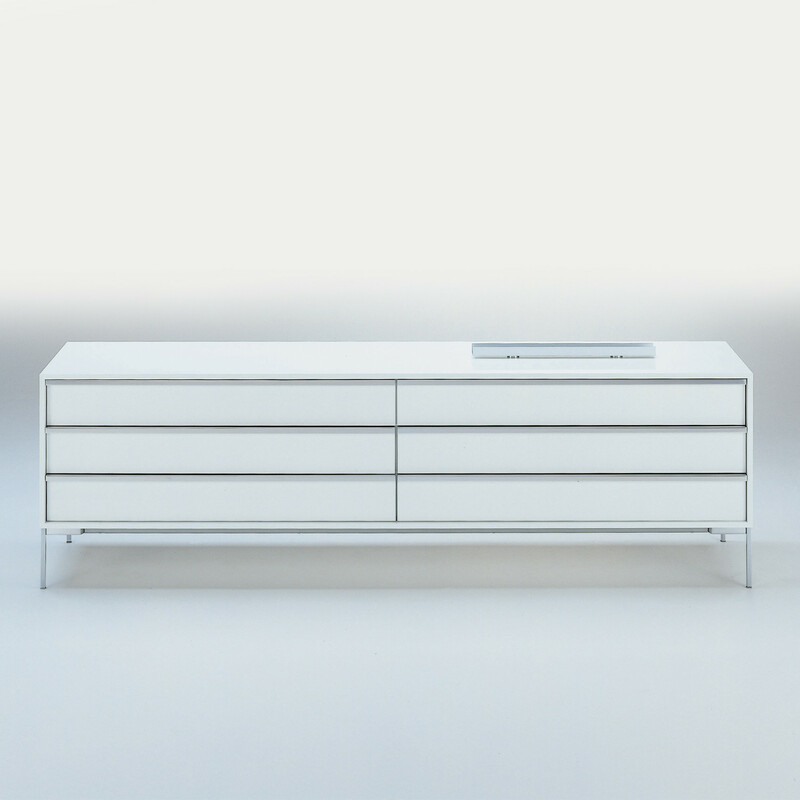 The body of the storage units is 1.6 cm thick. 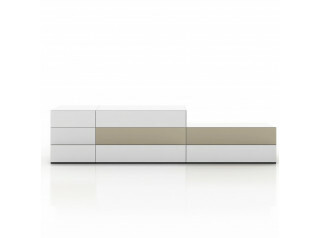 Two lengths available: 160 and 225 cm, always with a depth of 51 cm and height of 68 cm. 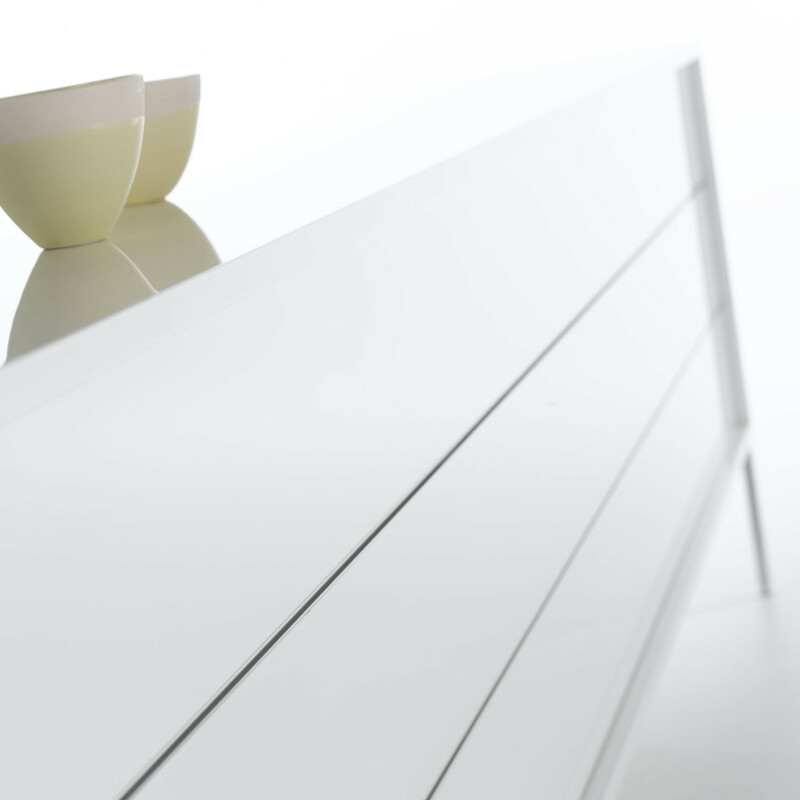 Stand in height 19 cm. 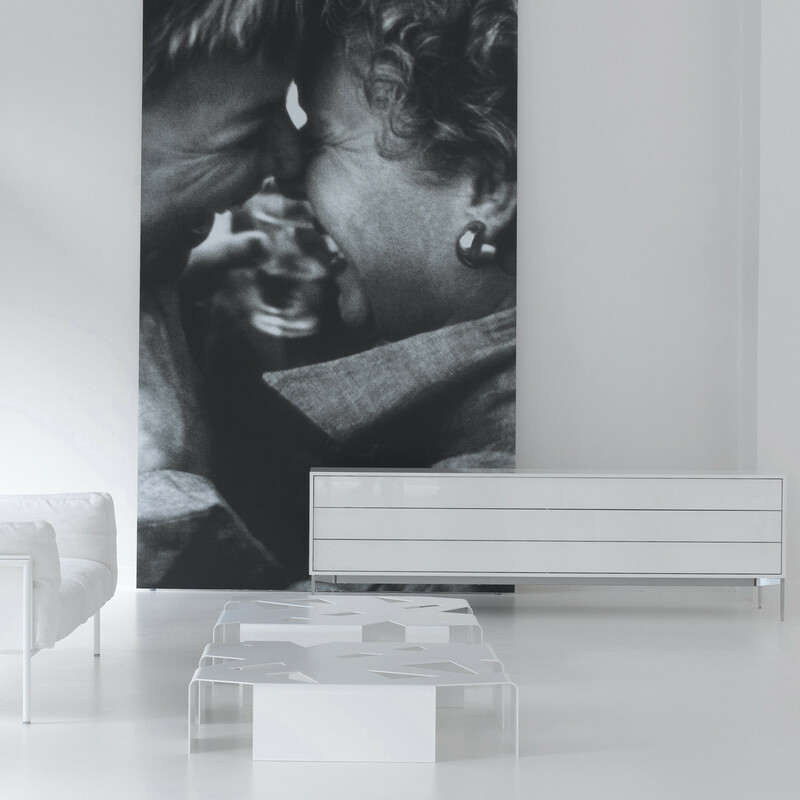 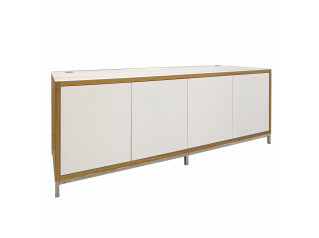 See more products manufactured by MDF Italia. 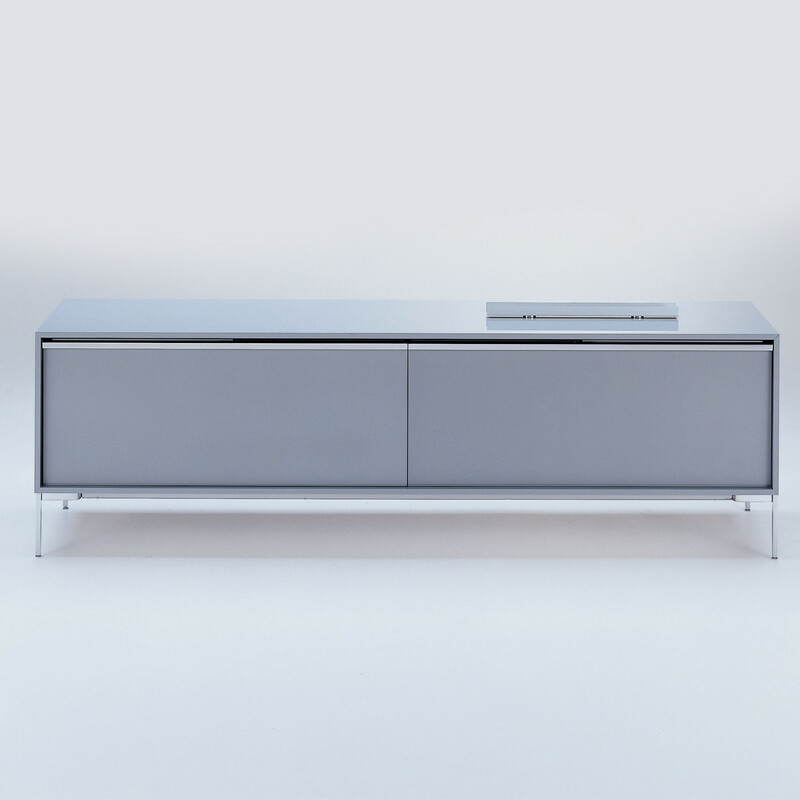 You are requesting a price for the "Fattorini Sideboard"
To create a new project and add "Fattorini Sideboard" to it please click the button below. 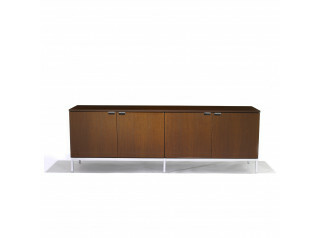 To add "Fattorini Sideboard" to an existing project please select below.